Education and Outreach are integrated into all aspects of AWWA’s work. Strengthening the understanding of the connections between human activities and water quality underlies each action towards water quality protection and restoration that AWWA undertakes. It is AWWA’s belief that everyone, young and old, is capable of experiencing joyous “ah-ha” moments that can be responsible for a shift in perception. If that perception shift includes a deeper reflection of one’s role within the natural world then that person will be more likely to take the actions necessary to maintain the balance. Those actions may be as complex as working towards policy change on a local or global level or as simple as making different purchasing choices. 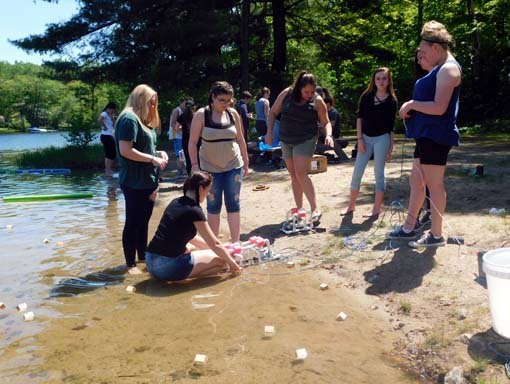 In 2011, with support from the Dorr Foundation, AWWA developed “AWWA in the Schools – Watershed Science for our Future Community Leaders,” a series of watershed based learning activities modules, for the Wakefield Paul School and Acton Elementary School. AWWA will continue to work with the teachers to create additional hands-on programming that meet the needs of the students and provide inspiring connections to the natural world. Thank you to the Dorr Foundation for its ongoing support of AWWA’s school programming connecting our area youth to their local water resources. This unit is designed to have students communicate scientific procedures and explanations through a variety of activities. Students demonstrate that clean water is essential to all aspects of life on earth, and they expand understanding between human activities and water quality. Students also learn how to identify and define a watershed. Students study live macroinvertebrates, including dragonfly nymphs, beetles, crayfish, stoneflies, and many other critters. Some learned skills include how to identify macroinvertebrates, and classify water quality by assessing what species are present. The other part of this unit is focused on invasive species and their impacts on native plants and animals. Students develop an understanding of how adaptations enhance survival of a species and what characterizes an invasive species. Students spend the class period identifying native and invasive aquatic plants such as milfoil, starwort, pondweeds, bladderwort, and many others using a dichotomous key. 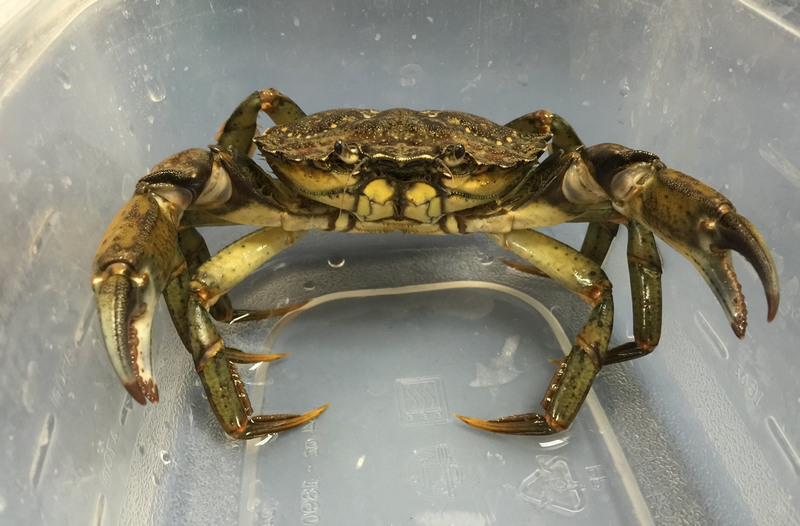 Green crabs are also brought in to discuss invasive aquatic creatures and their impact on local species. Students are asked to think about why invasive species may be more successful, and outcompete native species. Students learn where their drinking water comes from, what may be in it, and ultimately test water from their homes.This project is about giving the students a chance to be real scientists, and teaches them how to follow scientific procedure. Students are given a sample bottle to bring home, with instructions on how to properly collect their water. The students test their samples for pH, conductivity, hardness, chloride, iron, and nitrates. 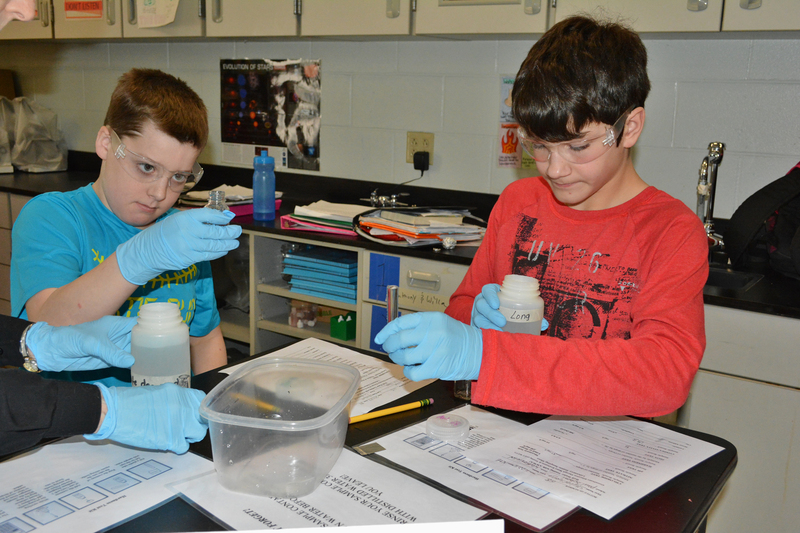 A presentation of results and conclusions is given the week following testing, and students create a water quality report card project outlining their class’s results. This module is designed as an interactive project for classes looking to have a multidisciplinary experience. Students participate in a project centered on water quality, and build upon previous lessons about environmental stewardship. Capstone projects can take many forms including identifying erosion, developing a design, and implementing Best Management Practices (BMPs), or landscaped features. These features promote the diversion and infiltration of runoff before it reaches lakes, rivers or streams. 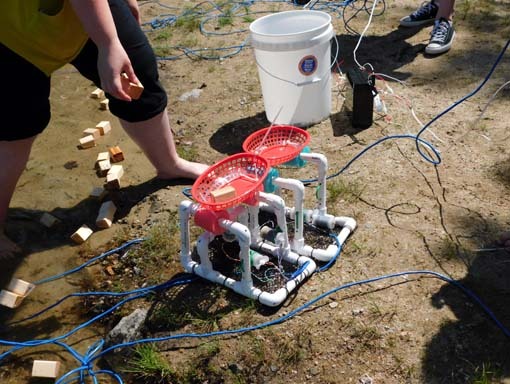 Other projects may include students building and operating underwater Remotely Operated Vehicle (ROV) in local lakes, and conducting various scientific investigations. AWWA was awarded a Norcross Wildlife Foundation grant to purchase the equipment needed for the Trout in the Classroom Program. This program is facilitated by the New Hampshire Fish and Game Department, in partnership with Trout Unlimited. 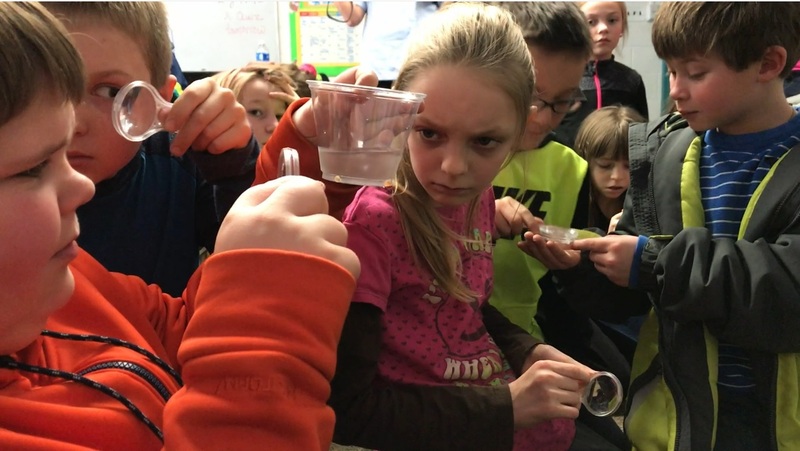 The Wakefield NH’s Paul School 4th graders have taken part in this program in which aquariums are set up in the classroom, and are filled with brook trout eggs. Children gain hands on experience of a trout’s life cycle, and the project culminates with the excitement of students releasing the fish. In 2018, we will partner with the Portland Water District to bring this program to Acton Elementary. AWWA was awarded a Norcross Wildlife Foundation grant to purchase the equipment needed for the Trout in the Classroom Program. 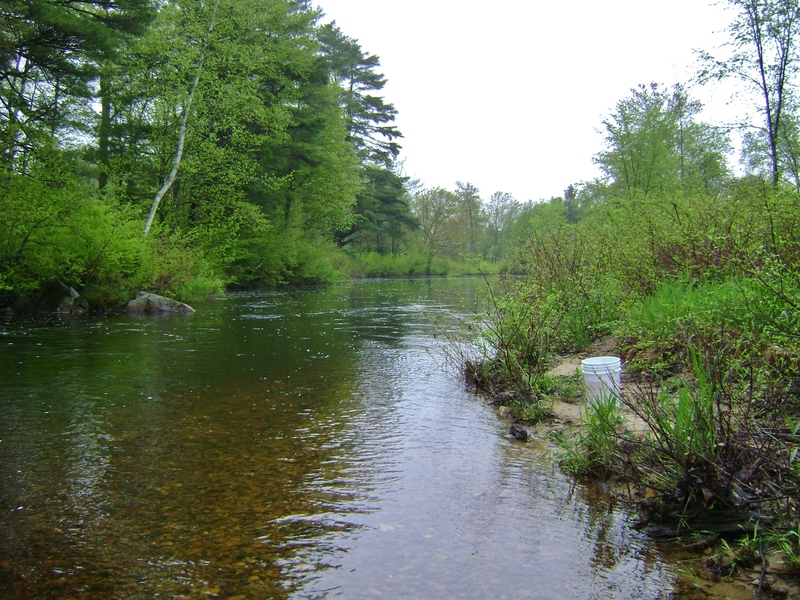 This program is facilitated by the New Hampshire Fish and Game Department, in partnership with Trout Unlimited. The Wakefield NH’s Paul School 4th graders have taken part in this program in which aquariums are set up in the classroom, and are filled with brook trout eggs. Children gain hands on experience of a trout’s life cycle, and the project culminates with the excitement of students releasing the fish. In 2018, this program was introduced in Acton Elementary.